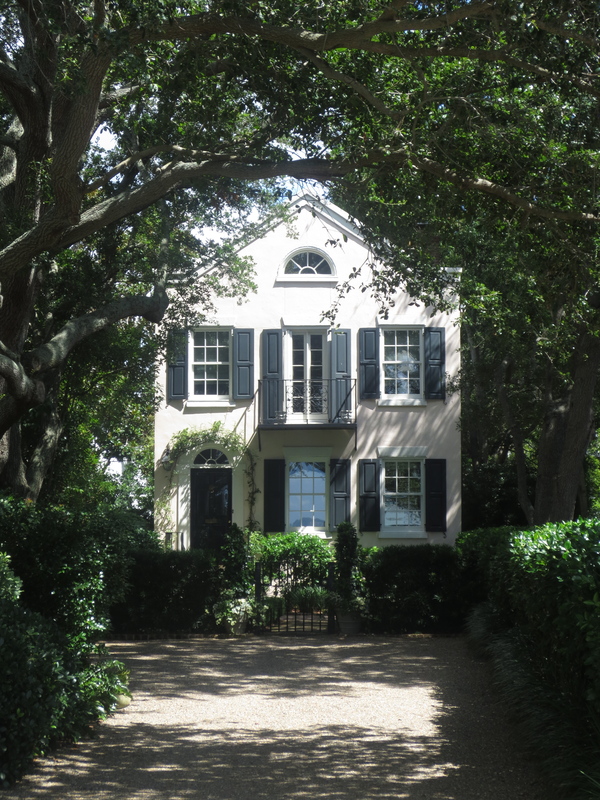 After spending two spectacular days in Savannah, we drove Highway 17 to round out our stylish getaway in Charleston. The drive was relaxing as we took in the sights, the early American plantations built next to antebellum rice fields and the abundance of swamps with very tall cypress trees. As we drove past these murky waters my imagination kept turning to what actually lived within these dark rippling bogs; such as alligators, water moccasins or some type of lizard, and while pleased to know of this interesting wildlife, I was extremely glad nothing slithered across the road. What did cross our line of vision were the enticing fruit and vegetable stands. We stopped to purchase a small basket of peaches from a farmer who stated he travels 52 miles every morning to setup his stand. He had the most fabulous looking blackberries, the plumpest tomatoes and bags of Vidalia onions that hung on the wooden stakes of this open market. 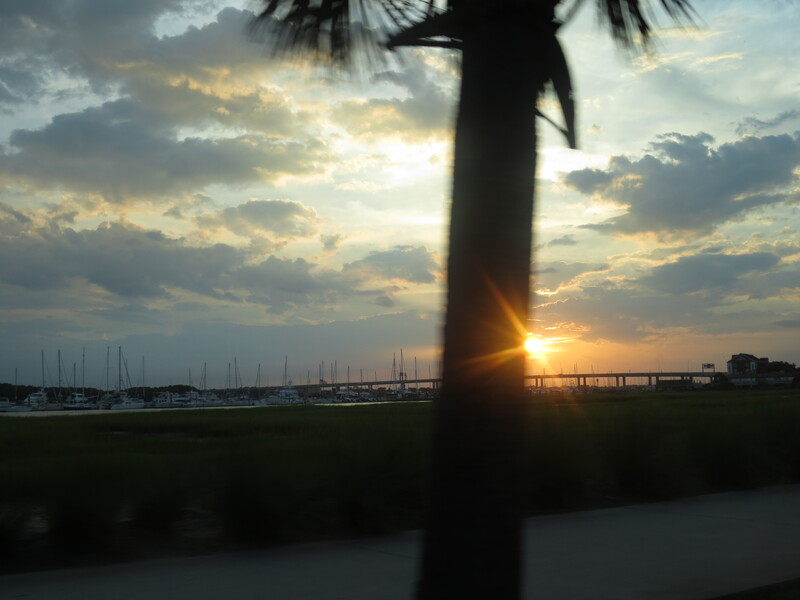 We arrived in Charleston as the sun was beginning to set over the Ashley River and the view was spectacular because you could see out to the Charleston Harbor. My primary purpose for being in this refined city was not only to see the historic sites, but also to focus on the elegant gardens and if possible come away with a few creative ideas for my own. The history on the art of “sweetgrass baskets” is steeped in tradition. 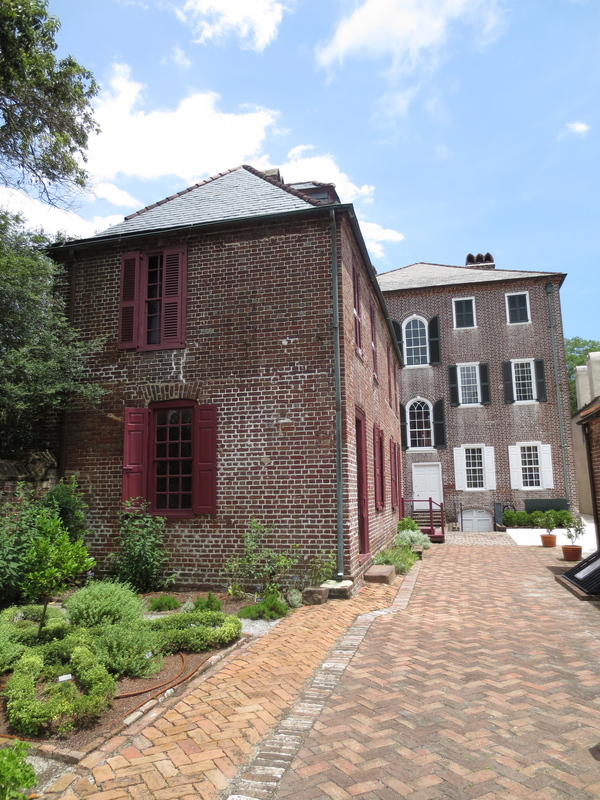 Rice was a major crop during the Colonial period and though the conditions were perfect for growing this crop in South Carolina none of the plantation owners had knowledge of this particular plant. So slaves were brought from specific regions of West Africa because of their expertise in growing rice. 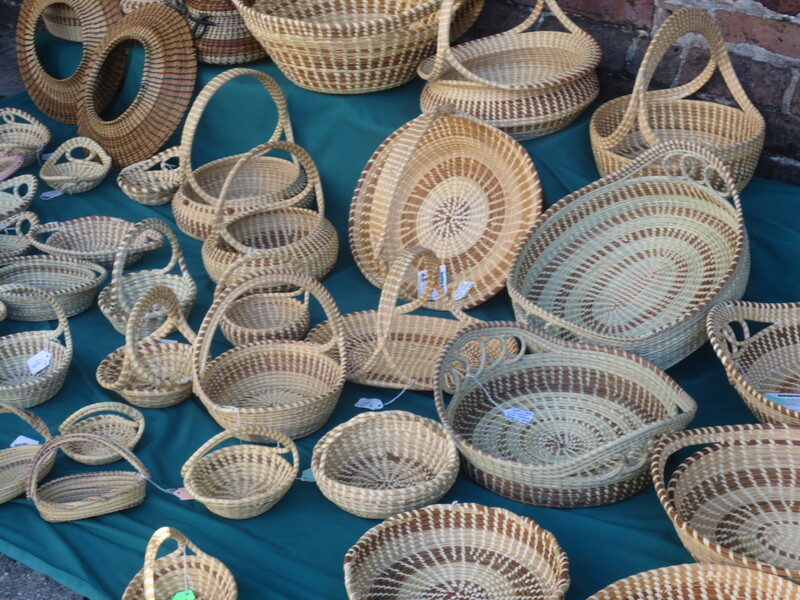 These slaves also brought the craft of basket making to the new world, and did not allow the art form decline after the Civil War. The descendents and their culture remain throughout the Low Country area and are referred to as “Gullah” and their language is “Geechee”. You can see the stands dotted along the highway as you enter the city, as well as on most street corners, setup to sell the most artfully designed wares. 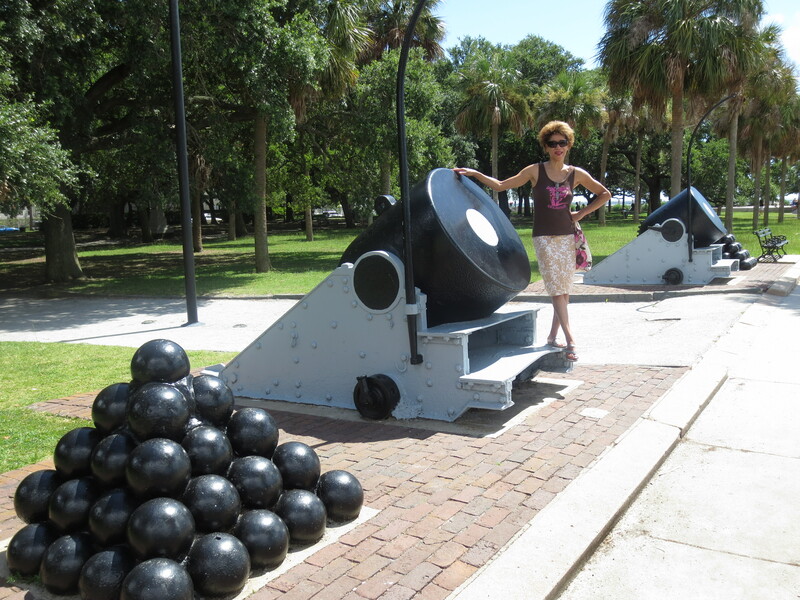 Quaint homes were tucked along “The Battery” which is a defensive seawall and promenade to these stately manors and is named for a Civil War coastal defense artillery site. 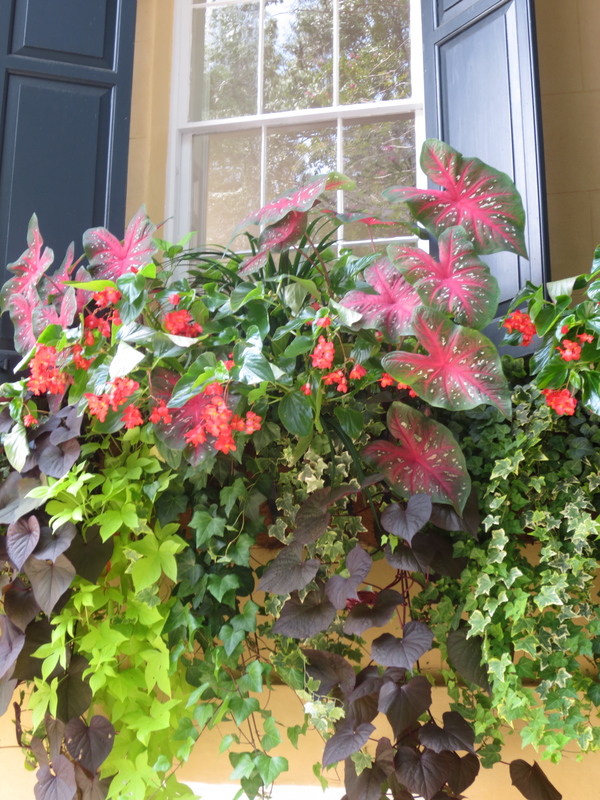 One of the prettiest gardens on our tour was at the Heyward-Washington House. I focused on the symmetry of the garden and how it was maintained with annuals and colorful plants in the midst of summer. 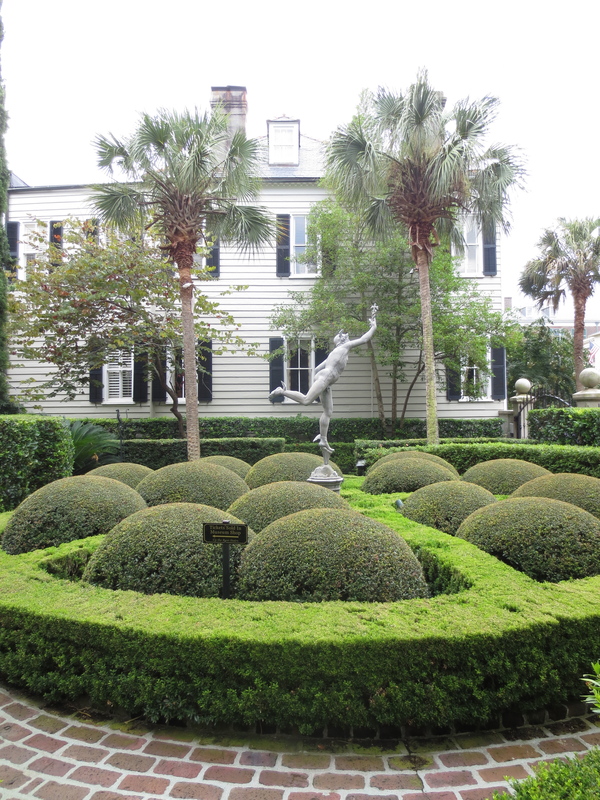 The “parterre beds” were delineated by short, clipped boxwood hedges and filled in with a variety of plants. 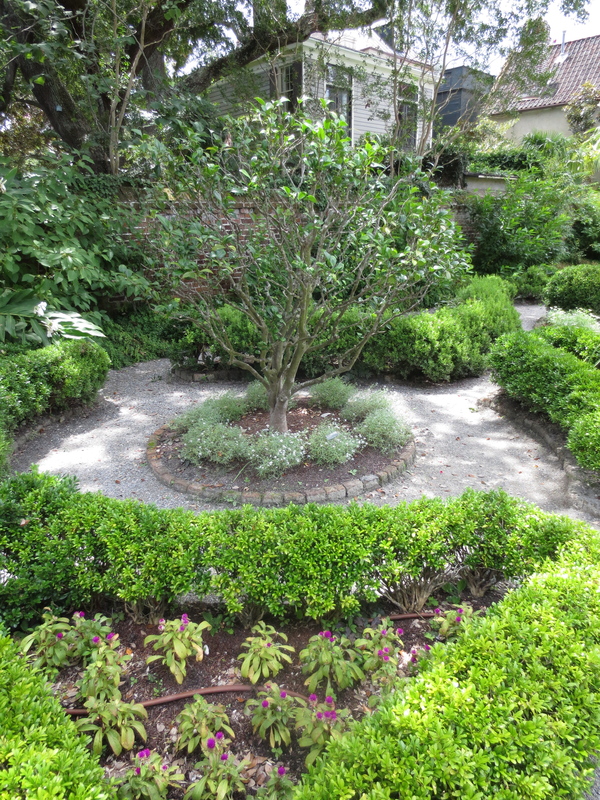 This formal garden was designed on level ground with gravel paths laid between the planting beds. 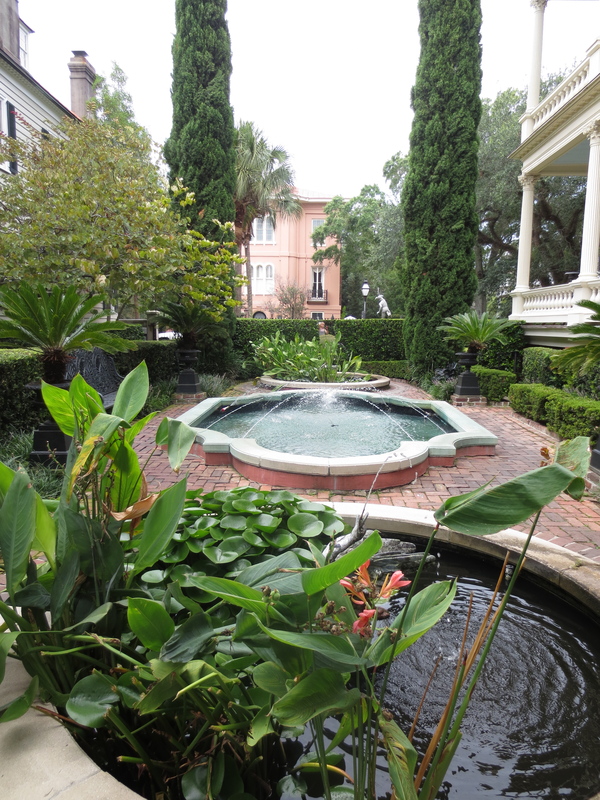 The final garden that captivated my attention was at the Calhoun Mansion. The current owner is a collector of fine art and objects, and has filled this 24,000 square foot home to capacity with rare and beautiful pieces. Now who can leave Charleston without eating some of the most delicious food in the south and trying their “pralines” which were absolutely fabulous. 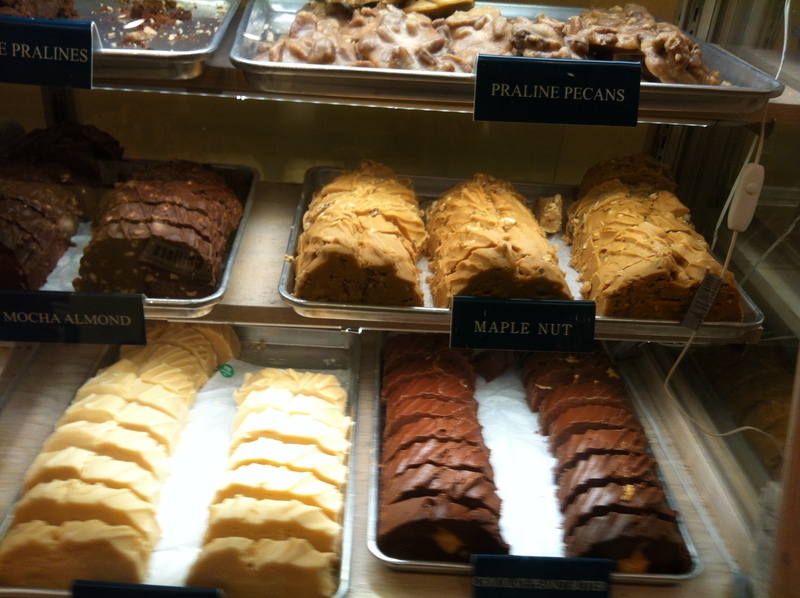 We stopped at The Fudgery on Market Street to taste the treats as they were being made and to talk with the sales staff, who coincidentally all sang beautifully together, which was an additional treat!!! We also tried slices of coconut cheesecake and key-lime pie from Kaminsky’s a few doors down from the Fudgery on Market to go with our “iced coffee’s”. 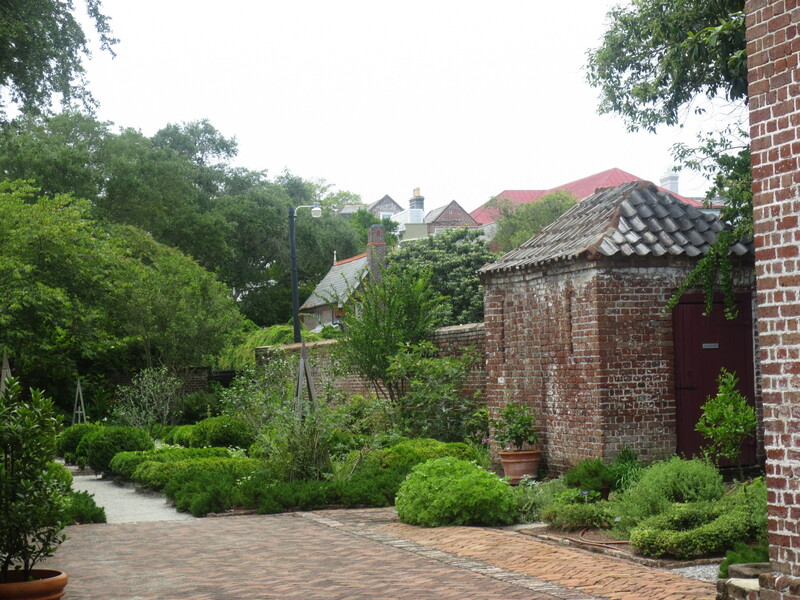 As always it is wonderful to be able to take in history, the beautiful sites and gardens, as well as taste such wonderful food all within the confines of historic Charleston. Thanks to you,I got to know one more beautiful place.God Bless America! Thanks for sharing my friend, thinking of you. I am pleased you have enjoyed another beautiful place from the south, I did have the chance to update so, please come back and review!!! 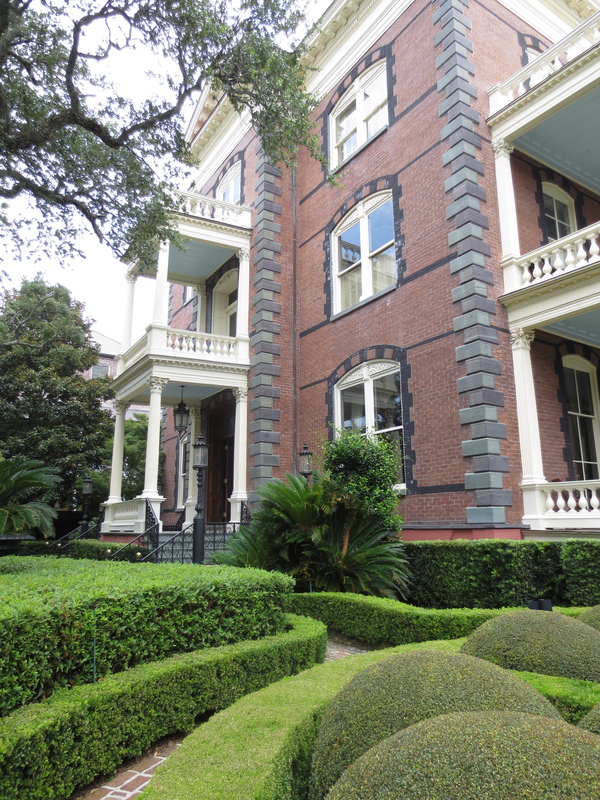 The Calhoun Mansion was our favorite home with classical music piped in to heighten the tour of the home. And the desserts were absolutely delicious!!!! The coco cake looks good. I agree. The coco cake looks scrumptious. 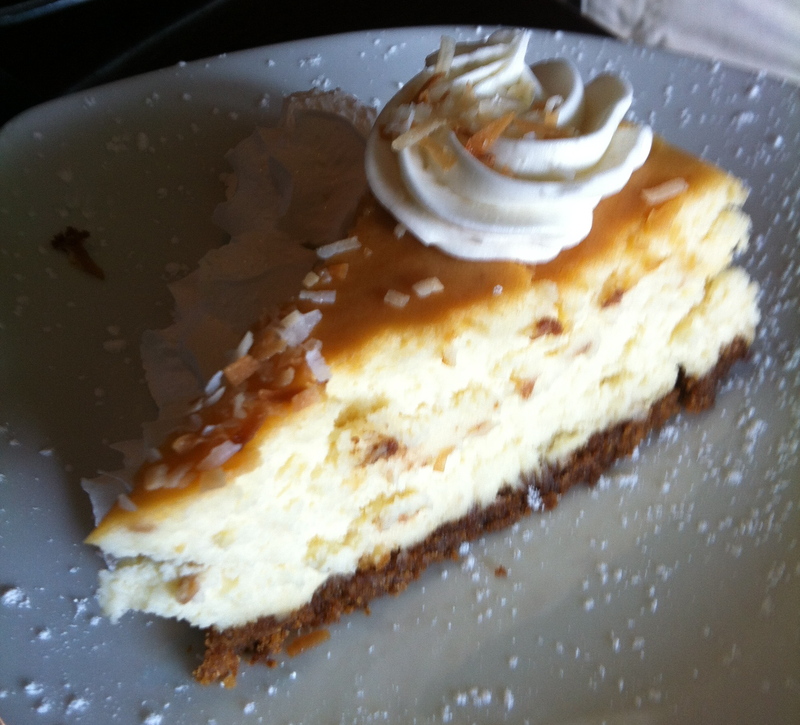 I am going to try my best to remake this cheesecake recipe from scratch!!!! !